Looking for a great baby gift? 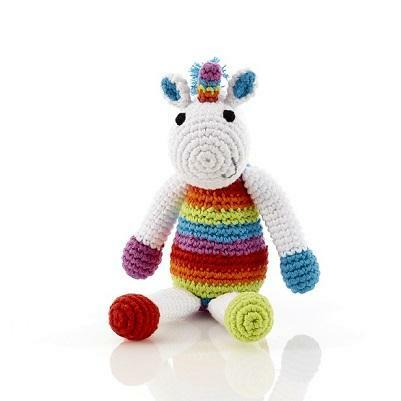 Unicorns toys always popular and our fair trade unicorn rattle is suitable from birth and machine washable. Handmade in cotton crochet.